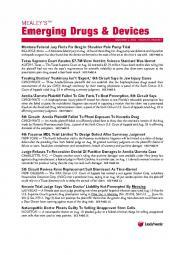 Twice-monthly newsletter on litigation stemming from pharmaceuticals and medical devices. 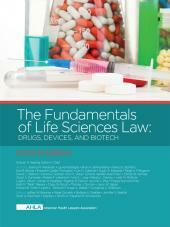 Mealey's Emerging Drugs & Devices covers cases involving a variety of prescription drugs, implants and medical devices. 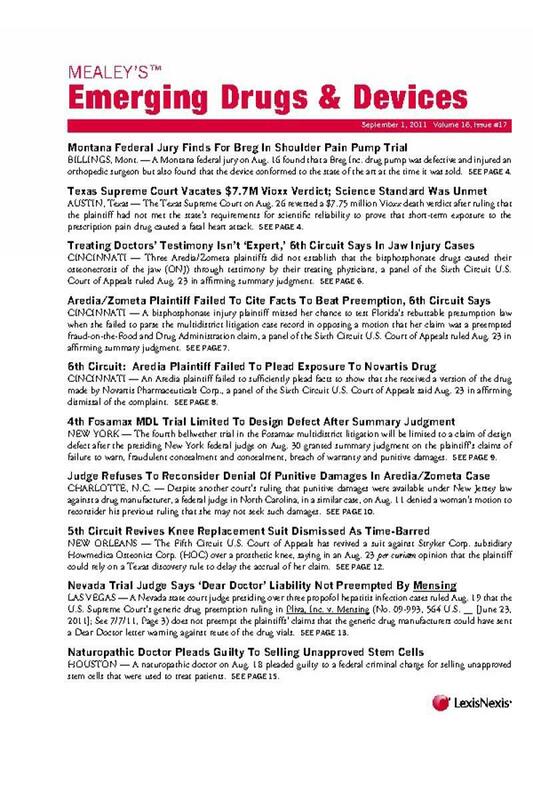 Antidepressants, atypical antipsychotics, diabetes drugs, statins and anticoagulants are among the drug litigations that are tracked. Medical devices covered include pelvic mesh, metal-on-metal hip prostheses, birth control devices, inferior vena cava filters and artificial knees. 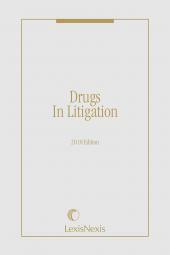 Coverage also includes regulatory enforcement of drug and medical device manufacturers, False Claims Act lawsuits and government civil and criminal investigations.